As promised at its special event last week, Apple today released iOS 12, watchOS 5, and tvOS 12. We’re assuming that the company will stick to its plan to push out macOS 10.14 Mojave next week on September 24th. Should you drop everything and download the updates immediately? If you’re an unrepentant early adopter, like many of us here at TidBITS, the answer is, “Obviously!” More power to you! May your downloads be quick and your backups be recent. However, if you generally fall on the cautious side, or if you can’t risk your devices not working perfectly, here’s our advice on when you should think about installing these new versions. Several of us here at TidBITS have been using iOS 12 betas all summer, and it has been a largely positive experience. We’ve heard from readers with older devices that its performance improvements have given a new lease on life to the iPhone 5s, iPad Air, and the like. One TidBITS Talk reader said it solved his iOS 11 battery problems. Josh Centers devoted his summer to Take Control of iOS 12, so you can read that for the full rundown on what’s new and necessary. That said, you’ve been waiting this long, so what’s another week or two? We recommend holding off on installing iOS 12 for a bit, just to make sure no pressing problems crop up. If any widespread issues affect the iOS community, we’ll be sure to pass on the details. If you’re change-averse, there’s no harm—apart from reduced performance and not taking advantage of new and enhanced features like Screen Time and Do Not Disturb—in waiting a few more weeks, or even a month or two. During that time, Apple will likely release a few bug fix updates like iOS 12.0.1 and 12.0.2. A few months later, the company usually issues a feature update that will probably be version iOS 12.1. But do install iOS 12 before too long, since otherwise you’ll be at risk for newly discovered security vulnerabilities that Apple doesn’t fix for older iOS versions. When you are ready to upgrade, first read “Get Ready for iOS 12 by Backing Up, Cleaning Up, and Updating Apps” (10 September 2018). iOS 12 varies in size by device: we’ve seen it range from 1.35 GB on a 10.5-inch iPad Pro to 2.26 GB on an iPhone 5s. Once you’ve backed up to iCloud and iTunes (read the referenced article for why we say “and”), install iOS 12 by going to Settings > General > Software Update and tapping Download and Install. You can also install it through iTunes, but we recommend the over-the-air update instead due to Apple’s waning interest in iTunes. The new features aren’t huge, but they’re still extremely welcome, particularly the capability to make and receive phone calls directly (for more on that, see “HomePod First Impressions: Let the (Apple) Music Play,” 12 February 2018, and “Beyond Music: Comparing the HomePod to Amazon Echo and Google Home,” 15 March 2018). You can also search for songs in Apple Music by their lyrics (in the US, UK, Australia, and Canada), set multiple timers, and ping your other iOS devices to locate them. 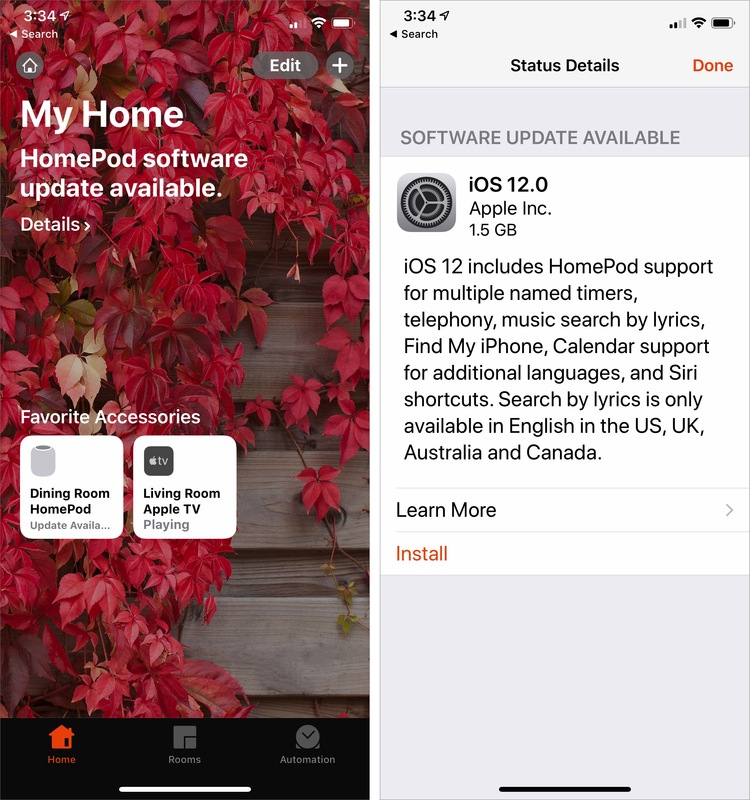 To install iOS 12 on the HomePod, open the Home app on your iPhone or iPad, tap the Details link under “HomePod software update available” and on the next screen, tap Install. At 1.5 GB, it’s a big download, but it installed reasonably quickly. The tricky part with the new capabilities is that you have to train yourself to invoke them with Siri. As with iOS 12, I’ve been running watchOS 5 on my Apple Watch Series 2 for a month or two, and I’ve experienced no problems. The new capabilities may not be game-changing unless you’re looking forward to Walkie-Talkie conversations with a friend or family member or if you regularly forget to start the Workout app before going for a run—the auto-start capability is welcome. watchOS 5 requires that you are running iOS 12 on your Apple Watch’s associated iPhone, so we recommend that you upgrade to watchOS 5 as soon as you upgrade to iOS 12. watchOS 5 works with all models except the original Apple Watch. To install watchOS 5, open the Watch app on your iPhone, go to My Watch > General > Software Update, and tap Download and Install. It’s a 340 MB update on my Apple Watch Series 2. Remember that the Apple Watch must be on its charger, charged to at least 50 percent, and within range of your iPhone, which itself must be on Wi-Fi. The update may take longer than you think it should—we recommend updating while you sleep. In fact, your Apple Watch may even suggest an overnight installation. Although we didn’t test betas of tvOS 12, readers have said that it has worked well. The promised changes are minimal: Dolby Atmos support for the Apple TV 4K, the new Earth screensaver, tapping the touchpad to identify an Aerial screensaver location, password autofill, an automatically added Apple TV Remote button in an iOS 12 device’s Control Center, and improvements for some TV providers (zero sign-on and cloud DVR support). Unless you live and die by your Apple TV, we see no reason to delay the upgrade. For most people, tvOS is probably set to update itself automatically, and that’s fine. Let it install tvOS 12 whenever it wants, or force it to update right away in Settings > System > Software Updates. The release version of Mojave should become available for download on 24 September 2018. It poses a significantly trickier upgrade question. Even if you were testing the betas of Mojave, you probably weren’t doing so on your main Mac. Your experiences during the beta period should have given you a sense of whether you can install on Macs that you rely on to get your work done—you should know by now if your essential apps are compatible or not. I’ve been running Mojave betas all summer on my MacBook Air, and honestly, I will not be installing the final release of Mojave on my 27-inch iMac right away. I’ve seen too many quirks and problems, a number related to the new privacy protections (see “Mojave’s New Security and Privacy Protections Face Usability Challenges,” 10 September 2018). Some of my Keyboard Maestro macros have stopped working, and I haven’t yet been able to figure out why. I’ve also been annoyed by the constant nagging of utility apps asking to control other apps or access privacy-protected data. Apple has released at least 10.14.1, if not 10.14.2. We hope those updates will squash early bugs and smooth out the authorization requests. 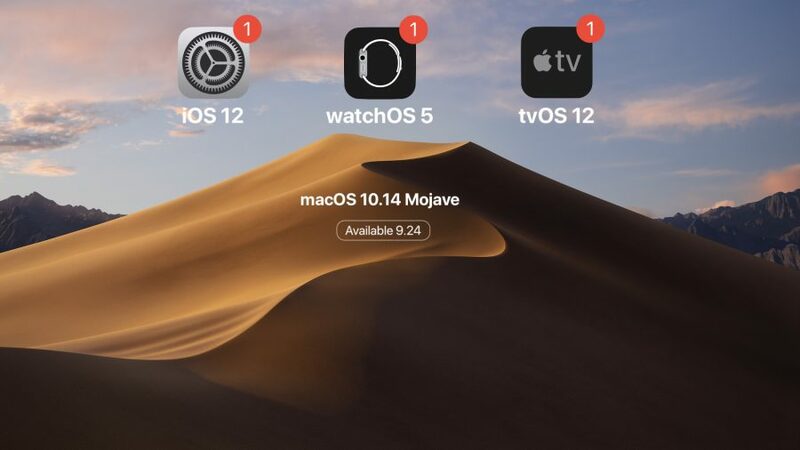 You have verified, through community comments or discussions with developers, that your essential apps—particularly utilities!—will run properly in Mojave. If you have a secondary Mac that’s not crucial to your workflow, go ahead and install Mojave there—Joe Kissell’s Take Control of Upgrading to Mojave is, as always, the canonical reference. There you have it! We’ll be publishing coverage of the new features in all these upgrades in the coming weeks and months, so stay tuned. When do you plan to upgrade? Let us know in our quick five-question survey. Thanks for the nice summary, Adam. I’m definitely interested in iOS 12 since I’d greatly benefit from a performance improvement on my old 6. But like you, I’ll be more cautious about Mojave. My main Mac is just too important for work to take any chances. I’ll see if I can find the time to try it on an older MBP using it to run a clone of my main Mac. was that supposed to be or instead of and? I don’t backup through iCloud so I don’t really understand how it works, I just always assumed that if you backup through iCloud you don’t also do so through iTunes to your Mac. But your ‘and’ indicates to me that that might be wrong and that indeed you’re suggesting people do their regular iCloud backup and then also backup to disk through iTunes. Isn’t there also a HomePod upgrade? There seems to be. After I upgraded my iPhone to 12, I looked in the Home app and my paired HomePods show “update available”. It’s odd, though, when I maneuver to what appears to be the update page, it seems to be offering iOS 12 for download, which is already installed on my iPhone. I’m going to try the “Update All” selection and see what happens. Maybe HomePod actually runs iOS. Anyway, I’m hoping it gets rid of some of the weird glitches that sometimes happen (one Pod suddenly drops out only to come back a minute later, and occasionally they play different offset streams of the same song). After I updated my iPhone 7+ an app (Measure) that I may have downloaded once appeared on one of my screens. was that supposed to be or instead of and? The article that’s referenced earlier in that paragraph explains why. We’ve been seeing more and more problems with iTunes backups recently and Apple doesn’t seem to be giving iTunes much attention, so we recommend using both iCloud and iTunes. iOS 12 is coming soon, and “Take Control of iOS 12” author Josh Centers has some tips on how to prepare your devices so the update goes smoothly. You’ll want to clear space, make sure your apps are updated, and make two backups before updating. Mine just appeared in the Home app—it wasn’t there 10 minutes ago. And I’ve now updated the article to include it. It’s a new Apple App in IOS 12. See https://www.macworld.com/article/3304290/iphone-ipad/how-to-use-the-augmented-reality-measure-app-in-ios-12.html. By the way, the lel that used to be in the Compass app is now here. If you are still running Sierra or earlier, and you think you might need High Sierra at some point (say, when you realize that your Mac won’t run Mojave, and you’re concerned about getting shut out of security updates), now is the time to make sure that you have downloaded the High Sierra installer. If you wait until Mojave is released, it will be very difficult or impossible to get an Apple-blessed High Sierra installer if the company follows recent practices. This is the same information that used to be in various life-hack blogs all over the Web. I feel more comfortable following the information from Apple Support’s official pages. so we recommend using both iCloud and iTunes. So in that case the two are not exclusive? Not at all. You’ve always been able to back up to both. Most recently, when Tonya had to send her iPhone 6s in for a new battery, she tried to restore from iTunes onto an iPhone 6, and it failed. Restoring from iCloud worked fine, but she was a little freaked out about the initial failure. The Homepod update can be installed from the Home app on an iPad running iOS 11. As I have stereo Homepods I had to tap and hold on the StereoHomepods icon then choose Speakers to display the individual Homepods. They both indicated that an update was available. When I tapped and held on one it gave me the option to update all Homepods. Just installing now so I will report later if I encounter problems. arghh! 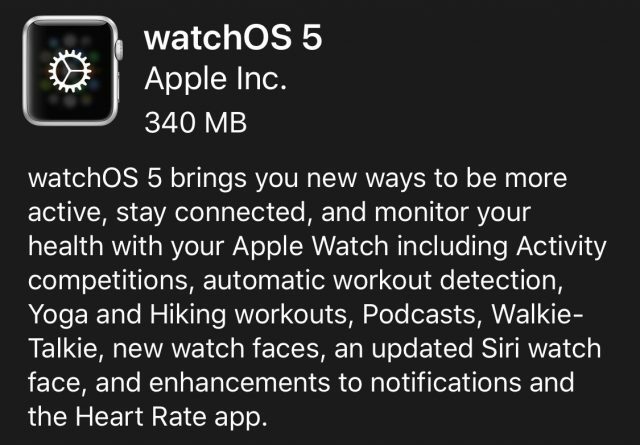 The watchOS 5 update says it will take 2 hours to download to the watch. During that time my watch and iPhone cannot be separated and the watch cannot be removed from the charger. So it seems I will be stuck at home for hours. I guess the Aplle servers are overloaded. The Homepod update was very quick. Actually, that has not been the case for some time now. Installers for El Capitan and Sierra are still available if you know where to look in the Apple Support KBs. The Homepod update can be installed from the Home app on an iPad running iOS 11. Thanks! I’ll update the article. The watchOS 5 update says it will take 2 hours to download to the watch. Yep, you really want to do that one overnight. With regard to the watch update; overnight doesn’t work for people who use it in sleep analysis. As I write this, I’m currently in the middle of the upgrade.I started about 40 minutes ago. The download phase is finished and the Preparing stage shows the progress bar a bit over 1/2 completed. macOS 10.14 Mojave brings important security and privacy improvements to the Mac, but both Apple and independent developers have their work cut out for them to avoid a cacophony of endless alerts. The upgrade finally completed. It took about 1.5 hours (iPhone X -> Series 2 Watch). Miine took 2 hours (watchOS update). All seems OK with the update, although I haven’t played with the new features yet. With the Homepods I did need to restart iTunes on the Mac for it to resume playing to the Hmepods after they updated. Otherwise they seems to work fine. Phone calling is working. For those looking at backing up their Mac before installing Mojave (next week or later) note that Time Machine supports multiple devices so it is recommended that you have at least one portable (“off-site”) Time Machine backup at all times but especially before an OS upgrade. The Tidbits website has other handy advice for backups but this is a recommended minimum. This will also backup your iPhone/iPad backups made with iTunes and stored on the Mac ( notwithstanding that some people are experiencing problems with iTunes backups of iOS devices). Yes, Al, that may be true, but it is not the same as “easy” or “convenient.” Though I will say that the low point was the Yosemite installer that seems to have disappeared forever, anywhere. Would you have a line on that? No. If I remember correctly, installers through Yosemite were tied to the AppleID of the user that downloaded them, so could not easily be used by other users. El Capitan installers were no longer managed that way and so became available to users even if they had not previously downloaded it. Apple is still finding its way with Watch OS. In the new OS, Time Travel is gone. For the last few releases, if you turned the crown on your base watch face, the displayed time would change, with time-dependant complications also changing. 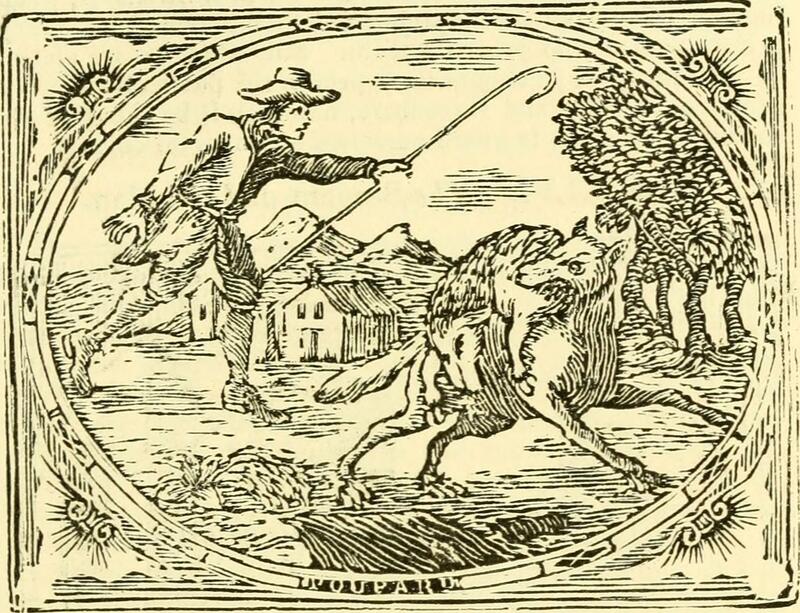 It was viewed as a quick way for folks to check on past and future events. It also allowed one to have fun with the faces that changed throughout the day. 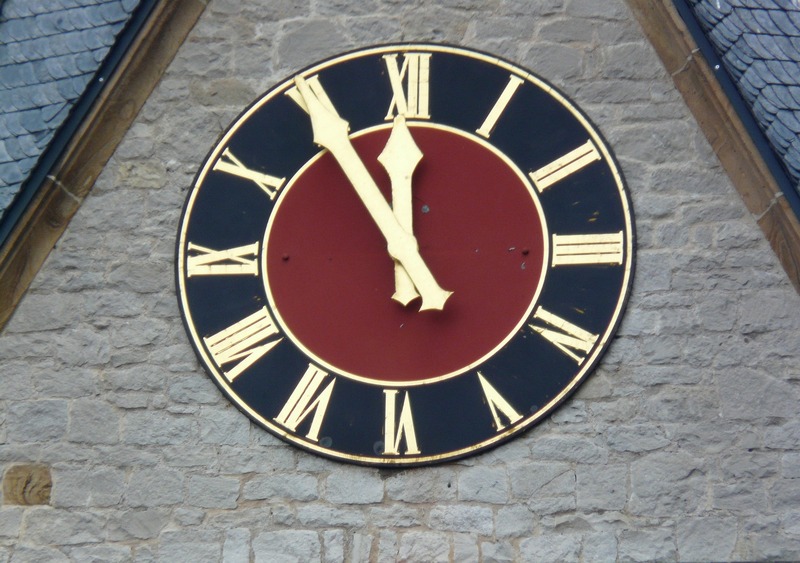 However, it could be frustrating, as if you unintentionally brushed the crown, your face no longer reflected the current time. Anyway, as of Watch OS 5, TIme Travel is gone. Rotating the crown when on the base watch face does nothing. Separately, I really would like to have the latest iteration of the Metal API… it has become a small issue in the past month or so. I knew Mojave was coming and thought I’d kill 2 birds thinking they WOULD put in support for raid arrays as they had stated for Sierra. Asked question in a number of places, got no information… BUT I do see they are stating fusion drive support, which is of no interest to me. Yes, my boot drive is an SSD array. I HAVE read several comments about trying to install HS on such systems and having disaster strike. All I am looking for is some level of assurance that I can upgrade my boot drive, have it stay at HFS+ AND have a successful update without it it doing bad things to my system. I didn’t have time to check in the office but I think any of the installers can make a bootable drive to install OS X with no connection to an Apple ID. The inconvenience of older downloads of OS X/macOS is their signing certificates have expired, you may need to change the Mac’s clock to a year when the OS version was current to install it. Time Travel is sort of available under Settings/Time - you can manually set the watch back or forward in time. Not as versatile as using the crown. Hi all. I’m wondering if anyone has tried creating a virtual macOS installation using Parallels Desktop. I’m wary of jumping to Mojave right away because I will lose the ability to play quite a few of the games I own on Steam. Are there any gotchas I need to watch out for? How do I uninstall it? Well, it can certainly be done, but I don’t see the point of it. Just install Mojave on an external or spare partition if you have one and run it that way. I can currently run 10.6.8 or 10.8.5 through 10.13.6 by simply booting from the appropriate volume. All have free modes or trial modes if you don’t feel like investing for future use. Al’s suggestion of a separate partition is a good one. The main confusion you can run into is that you’re setting up two completely different systems, and keeping documents and settings in sync is way too much work. What you might consider, assuming all your document and sync-based apps work in Mojave, is making Mojave your main system and creating a separate partition for High Sierra so you can play your games there. Hi Adam. I may as well go that route. I was able to set up a virtual machine running High Sierra using Parallels Desktop, but it took a few goes to get there. (Not helped by the defaults that Parallels chose for the VM - just 2GB of main memory and 64MB of video memory.) I do have a small external SSD that I could use. Only downside is the need to reboot to switch between systems, but that might be a plus since it means I’d be less likely to slack off. i upgraded to ios12 and watchos5 and have encountered a number of annoying nits. mostly related to the music app on the watch. i sync my phone to my own music library - no apple music for me - and have created a smart playlist for the watch that’s a subset of the playlist for the phone. the watch appears to fail to update the tracks it’s played which results in it playing the same set of tracks again. it also resets its music app every time it’s placed on the charger, forgetting the shuffle setting and the track that was paused. sometimes it even appears to fail to pause the track when the airpods are removed and placed in their charge case. all-in-all too many nits escaped the dull eyes of the apple q/a department. colour me an unhappy user. I hope that’s only true for watchOS and not for iOS 12 or Mojave in general. We’ve been there before. The latter two were supposed to improve on that. Keeping my fingers crossed. simon, i think it’s mostly watchos (and the ios watch app). mind, i don’t like some of the dnd-related notifications on my lockscreen, especially that you can’t turn them off. but my phone, an se, seems much snappier since the upgrade. Apple has released tvOS 12.0.1 with “general performance and stability improvements” but it seems so minor that I can’t see covering it any way more than this comment. Discover the latest features of tvOS available on your Apple TV 4K and Apple TV (4th generation). I have an apple tv version 4 and home sharing music playback has been broken after tvOS version 11.2.6. I copy my cd collection on to iTunes for play back on apple tv using home sharing. I have a good stereo system for music playback on the computer app on apple tv. I want CD quality playback not low rez iTunes quality. I can only play one song and the music stops. No complete album playback with one click anymore. I have called apple support and after much run around they say that feature has been removed. WHY DID THEY REMOVE THIS OPTION? IT MAKES HOME SHARING FOR CD PLAYBACK WORTHLESS! There’s some suggestion that if subtitles weren’t working for you in tvOS 12, the update to 12.0.1 might fix that. Subtitles worked fine for us in 12.0.